In the world of voice assistants there are three dominant players: Alexa, Siri and Google Assistant. Somewhere far behind is Samsung’s Bixby, an assistant more popular for its annoying appearances thanks to the dedicated buttons on Galaxy phones, rather than its functionality. According to the Wall Street Journal, Bixby is now ready to receive a big boost that will bring it closer to its competitors. The improvements will come from third-party developers after Samsung finally allows them to integrate Bixby into their apps. Samsung is calling the functionality “capsules” and it will work similar to Siri’s “shortcuts”, Alexa’s “skills” and Google Assistant’s “actions”. The “capsules” will allow developers to tie different functions of their apps to phrases that Bixby can recognize and use as a trigger. For example, if you’re using a fitness tracker, you can just ask Bixby “How many calories have I burned today?” and it will reply to you with the appropriate number from the app that you’re using. Samsung’s promise to open Bixby for developers is expected to come true this week at the company’s Developer Conference in San Francisco, starting November 7. The move might be foreshadowing the release of Samsung’s Galaxy Home smart speaker that was revealed earlier this year. Samsung will likely want to give developers the opportunity to integrate Bixby before releasing the speaker for sale. Samsung has big ambitions for its voice assistant but so far has failed to deliver a product that people want to use. 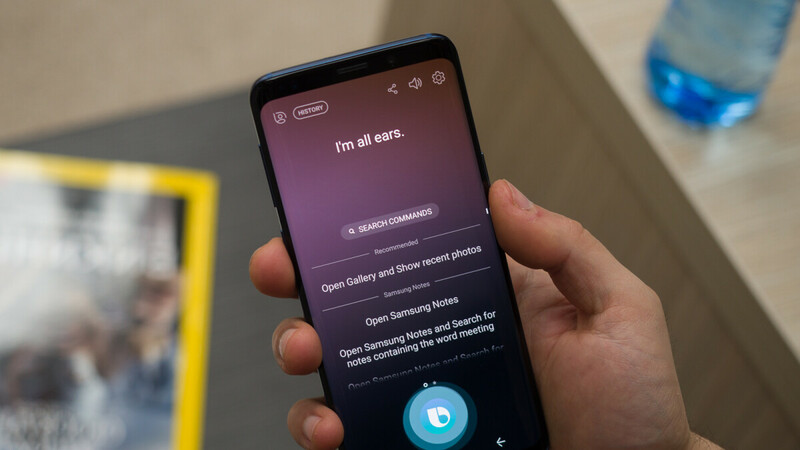 However, with the increasing number of Internet-of-things devices and smart appliances, many of which made by Samsung, there’s potential for Bixby to do even more than its fellow voice assistants. Wow, siri against bixby and homepod vs samsung home speaker. Samsung now is the premium of Android.
" an assistant more popular for its annoying appearances thanks to the dedicated buttons on Galaxy phones, rather than its functionality. " Ever used walkie-talkie? Guess not. What kind of journalism is that? " Samsung’s promise to open Bixby for developers is expected to come true this week at the company’s Developer Conference in San Francisco, starting November 7. " Samsung is expanding access now the Bixby API is mature enough for third parties. Speaking of the latter, have you forgotten Uber, The Score, Facebook, Instagram, YouTube, Gmail, WhatsApp, tumblr among them? "Samsung has big ambitions for its voice assistant but so far has failed to deliver a product that people want to use." Samsung Smartphones and appliances including TV already use Bixby. I'm writing as the owner of Samsung Galaxy s9 plus pointing out how rubbish the so called article is without doing a proper research.